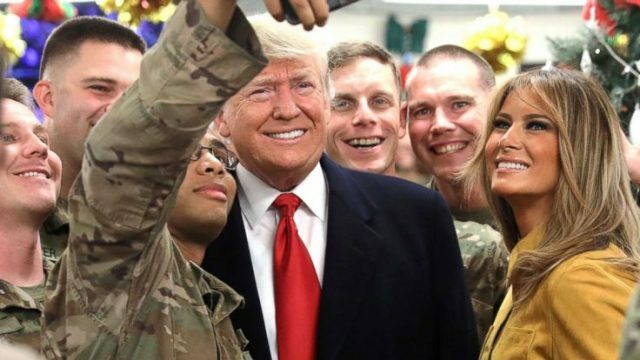 Donald Trump visited Iraq. While we may nitpick at his reasons why, the fact that that war is still raging should drag our focus. At the recent funeral of John McCain, the media fawned at George Bush showing off his more sensitive side. No. He’s a warmonger, and we should not forget that. There Are No War Heroes. There Are Only War Victims. Donald Trump’s posturing to honor the flag while honoring the fallen continues the delusion that America was born on. That war, in all its forms, is good. Following Memorial Day, and taking cues from Dwight D. Eisenhower and Nathaniel Hawthorne, Sean Davis thinks about the true meaning of war and its effects. A hideous aspect of endless war is the fact that we’re comfortable with it. I say it’s time we normalize peace instead. As we watch Zimbabwe tear itself apart, our extended history indicates that the worse things get, the better the art we produce becomes. There are two vastly opposing spheres of political thought, but Islamic extremism and the far-right actually need each other to survive, to keep on hating each other. Here’s how. I think it’s safe to say that the costumed, albeit violent, Berkeley protest represents the culture war in the U.S. Confused, shallow, and vain. Reflecting on recent events and current affairs in general, Chris Valle aims for the heart of the matter, defines the war we’re actually waging, and how to counter it. Sean Davis, a combat veteran, outlines why the French bombing of Syria is a mistake, and how we need to end this circle and cease creating our own enemies.